We found a bird’s nest and a broken egg at the park, on the ground. It’s been windy! We brought those home and decided to do art! I love this simple bird’s next chalk tutorial. We got out our supplies and set to work. I didn’t think about it when I placed the nest on a placemat. Liz is not confident with art. She wants to be a master without learning technique. And she’s a rebel, refusing to use the chalk pastels. She prefers pencils. I helped Alex with his blending. He wasn’t happy with the way his egg turned out. Perfectionist! We love all these chalk pastel tutorials and eBooks. They help us learn and have fun with simple art projects. 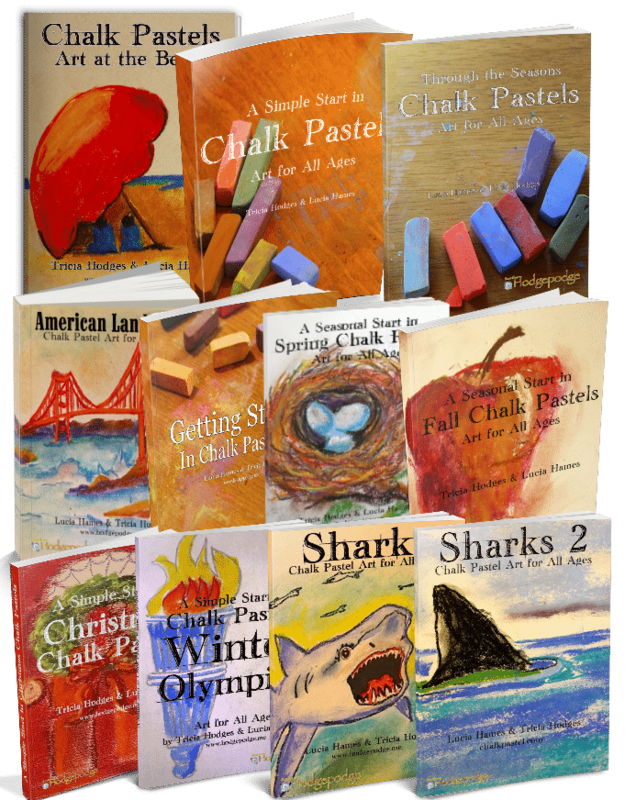 We love all the CHALK PASTEL eBOOKS! These books are great for every family! Beautiful bird nests!! And what a great follow up to finding one. You ARE artists!